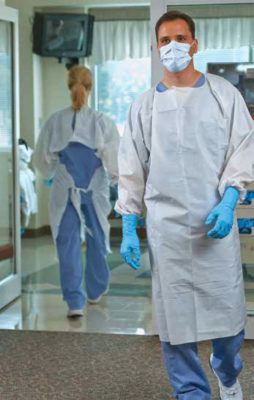 TIDIShield™ Poly-Coated Gowns are ideal for reprocessing departments. Their closed-back, cuffed design keeps the gown in place during reprocessing. The additional open back design allows extra airflow and comfort. SafetyPlus™ Gowns are also hypoallergenic. 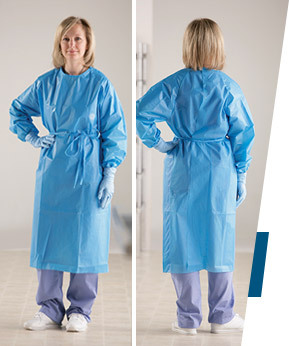 TIDIShield® GOWNs are the ideal protection for reprocessing procedures. 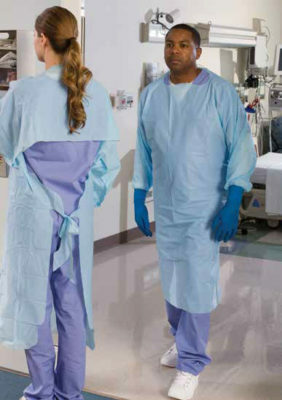 The gowns polyethelyene construction assures security without sacrificing comfort. Stirrup cuffs and a closed loop neck keep gowns in place. TIDIShield® Chemotherapy Gowns provide maximum protection when administering chemotherapy procedures and drugs.